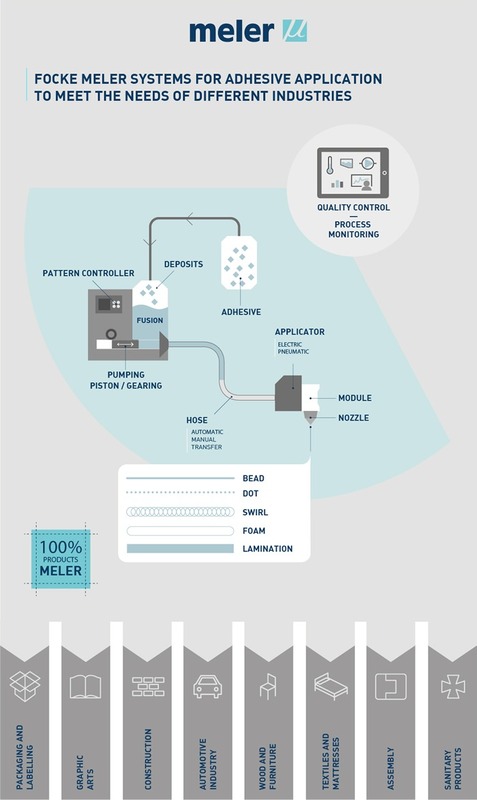 At Focke Meler, we create customised solutions. Through a standard quality product, we adapt easily to the adhesive needs of our customers and at a very competitive price. Thanks to our wide and complete range of products, we can provide a solution for any hot-melt application need. We only use 100% Meler products. We are involved in the manufacturing of each one of the components that comprise the entire adhesive application process. Extensive knowledge of the process. From the melter, the adhesive is supplied to the applicator via hoses. This applicator dispenses the required quantities via a module and a nozzle, enabling different types of lines such as dotting, swirls, beading, coating and foam. Each phase allows you to create the perfect adhesive application system for each objective. If you would like more information, please visit our website and contact us. 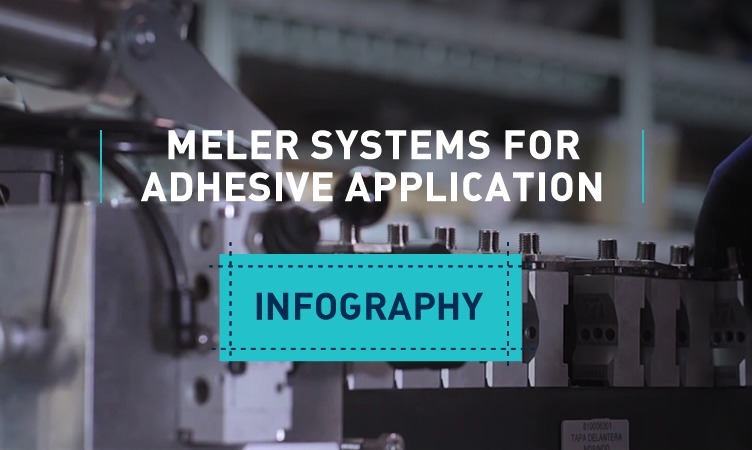 Discover the complete range of Meler products, designed to resolve adhesive application needs in any sector.